Today, we will tell you what unusual (or just interesting) games are being released this month. And even if you will still doubt whether to buy a game or not, don’t worry! Our gameview will post reviews on each game shown in the preview every week. So stay tuned and don’t forget to visit our website. Eisenhorn: XENOS is an action adventure, based on the first book of “Eisenhorn” trilogy, written by Dan Abnett. Game takes place in a grim and dark Warhammer 40.000 universe and tells a story of Gregor Eisenhorn. An inquisitor, whose aim is to protect citizens of the Empire from any danger. 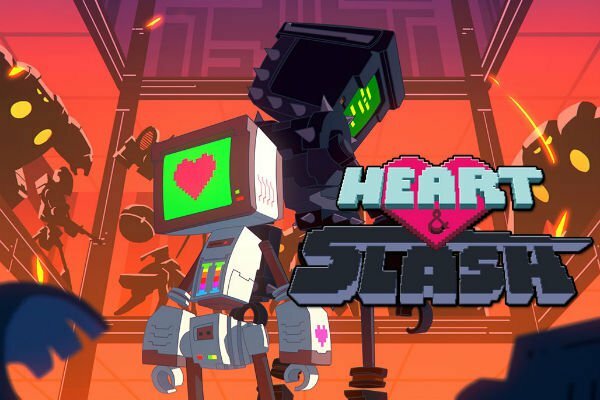 “Heart&Slash” is an intriguing love story about roguish 3D robots, fighting between each other. They exist in a world, where machines are the only thing that’s left of human civilization. Player will take control over Heart. It’s a sensitive robot, trying to break free from the oppression of QuAsSy (Quality Assurance Systems). Flight simulators’ lovers may have their new passion, due to the release of a new add-on for Il-2 Sturmovik. This time it will be the legendary “Batlle for Moscow”, which took place from October 1941 to April 1942. This DLC will provide players with detailed virtual copies of 10 planes (I-16 type 24, Bf 109 E-7,) MiG-3, Bf 109 F-2, Il-2, 1941 model, Bf 110 E-2, Pe-3 35 series, Ju 88 A-4, P-40 E-1, MC.202 Series VIII) large detailed maps of the USSR (270×290 km) in winter and autumn seasons and large cities, such as Vyazma, Rzhev, Kalynin, Klin and Serpukhov. To launch this DLC in Steam, players will have to install Il-2 Sturmovik: Battle for Stalingrad.